No Clear Distinction: Toads and frogs are amphibians, meaning these animals are capable of living on land and in water. No clear distinction exists between toads and frogs, although the skin of a toad tends to be rougher and drier than frogs. Toads also tend to be covered with warts. Protruding Parts: Both critters are characterized by their short, ridged body and wide head. Large protruding eyes and a noticeable eardrum on each side of the head are always on the alert for the next meal. A large mouth houses a long sticky tongue, which quickly flicks out to capture live prey. Without teeth and unable to chew, its meals are swallowed whole. 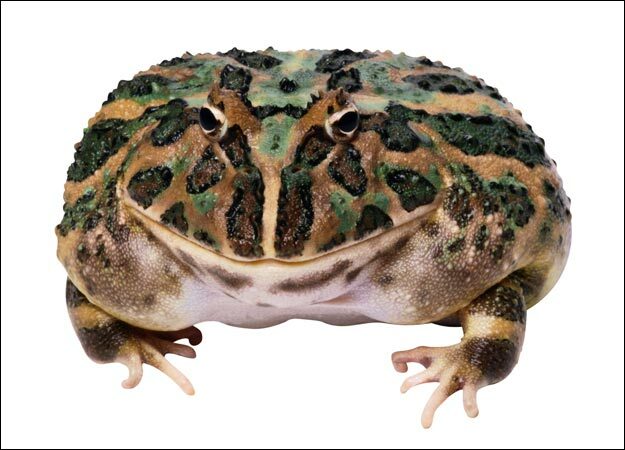 Few Defenses: Toads and frogs are very vulnerable as they have no defenses against predators. Their best bet to escape being eaten is their ability to jump quickly or their talent for blending into their surroundings. Some species have evolved glands that secrete a poisonous and distasteful substance on their skin. These animals are usually brightly colored to give warning to a predator ready for a meal.